If you would like to have your product catalog listed out in a grid or you want to easily organize your products into categories, you may want to use the Cart66 Product post type. If you only have a few products in your store and you want the most control over the layout of your product pages, or if your theme doesn't have support for Cart66 Product pages, you may prefer to create your product pages with shortcodes. 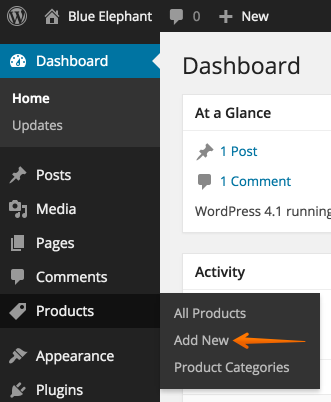 To create a product page using the Cart66 Product post type, log in to your WordPress admin and click on the Products tab. The title of your page, which is normally the name of the product, will be at the top left. Below that you will see the featured image next to your product order form. 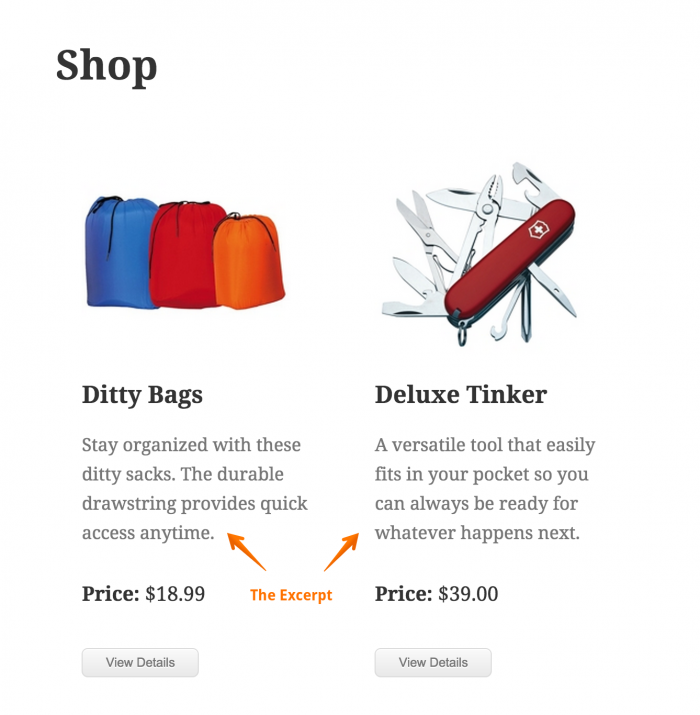 The remainder of the page will be the content you enter into the page editor for that product. It is a good idea to provide several images of your products. For more information on managing your product images, take a look at the Cart66 image gallery features. 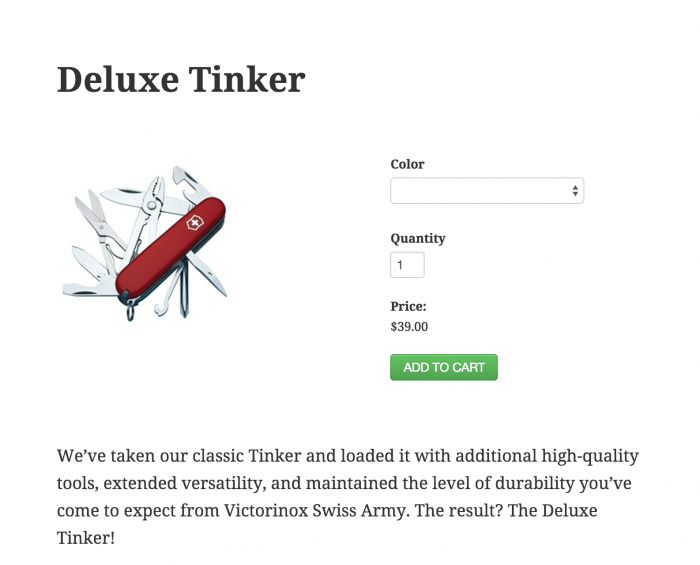 The excerpt is used to provide a short description of the product shown in the catalog view. To keep your catalog view looking nice, you should try to have all of the excerpts for your products the same length.